I love inspirational stories, and this one does not disappoint! Wow. The strength and determination of these men inspires me to do better, work harder, and dream bigger. If they can do the impossible, so can I! I hope you enjoy my book review of The Boys in the Boat by Daniel James Brown. “Out of the depths of the Depression comes an irresistible story about beating the odds and finding hope in the most desperate of times–the improbable, intimate account of nine working-class boys from the American West who at the 1936 Olympics showed the world what true grit really meant. 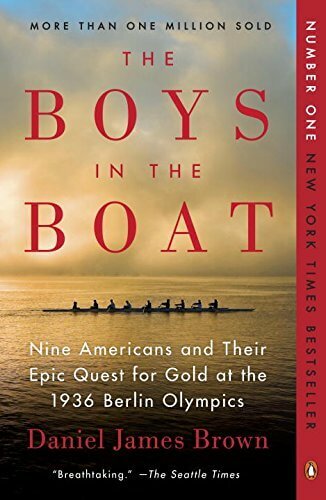 Daniel James Brown’s stirring book tells the story of the University of Washington’s 1936 eight-oar crew, a team that transformed the sport and grabbed the attention of millions of Americans. It was an unlikely quest from the start–a team composed of the sons of loggers, shipyard workers, and farmers, who first had to master the harsh physical and psychological demands of collegiate rowing and then defeat the East Coast’s elite teams that had long dominated the sport. The emotional heart of the story lies with Joe Rantz, a teenager without family or prospects, who rows not only to regain his shattered self-regard but to find a real place for himself in the world. Plagued by personal demons, a devastating family history, and crushing poverty, Joe knows that a seat in the Washington freshman shell is his only option to remain in college. Wow! The 1936 Olympics have produced some of the best stories I have ever read! First was “Unbroken” about Louis Zampirini. He ran in the 1936 Olympics. That book was so good! Then there’s the story of Jessie Owens. I haven’t read a book about him, but I recently saw the movie “Race,” and Jessie’s story is fantastic too! And then there’s this book. Amazing. Seriously amazing. I loved it! The writing is very well done. It may be nonfiction, but it definitely reads like fiction. The descriptions are beautifully done, and the writing captivates you from the get-go. Joe Rantz’ story is unbelievable! The circumstances he overcame in his life put him right up there with Louis Zampirini as one of the most inspirational people I’ve read about. Most people would give up and die rather than go through what he did. His so-called parents made me so angry. They are not fit to be called parents. The things they did to him were unconscionable. And yet he survived, and not only survived, but thrived. What an inspiration he is!! I also enjoyed looking at the pictures in the book. I liked that they weren’t all bunched together in the middle, but they were spread here and there throughout the book. One thing I loved was how all these stories showed how trials make people stronger. Usually we just want our lives to be easy, right? Well, look at how strong these men became because their lives were not easy. I think attitudes are a little different now, and that’s unsettling. There seems to be a trend of if it’s not easy I won’t do it. We need more determination and hard work like these men had. I loved this book! I loved the writing, the characters, the story; I loved all of it. Five star ratings are unusual for me, but this one deserves it; I highly recommend this book! Recommendation: 14 years-old and up. This review was originally published on 3/21/16; updated on 3/8/18. Today I thought I’d switch things up a bit! Here are my 12 favorite Wold War 2 Books. Some of them are nonfiction and some of them are fiction; I like both–I can’t help it! 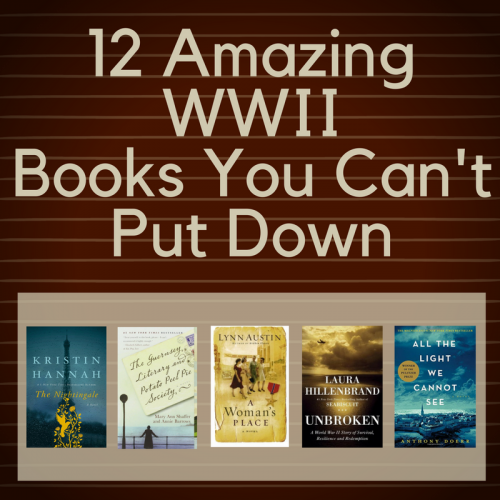 Each of these World War 2 books highlights a different aspect of World War 2. Some of them are fiction and some of them are nonfiction, but whether it is true or not, each brings a different piece of the war to light. There are people in internment camps, people trying to hide Jews in their homes, and a Japanese-American family inside an internment camp here in the United States. There is a story about what the women in the United States did at home during the war and how they helped the efforts, and there’s a story of how the war affected a little girl and her family in Germany. I have laughed, cried, gotten angry, and learned so much as I have read these books. I hope they touch you as they have touched me. Do you have any other favorite World War 2 books? Comment below, I’d love to read them! This post was originally published on 3/31/16; updated on 2/15/18. I love this book! It is an amazing story! Seriously amazing, and I think it teaches wonderful lessons about hard work, determination, working together, and great leadership. It is so well written that it reads as fiction. I love the format with the pictures and the maps. I love to just look at the pictures because they capture the moment so well. 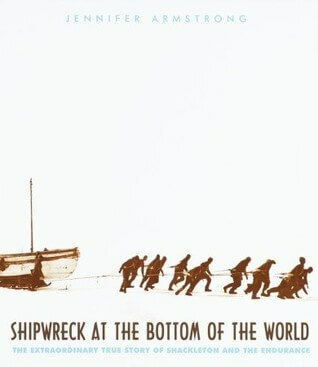 I look up to Ernest Shackleton because of his great leadership ability. As you’re reading, you know that no one dies, but you can’t believe it! These men go through so many trials and hardships, and not one of them dies. It is incredible! Ms. Armstrong did a great job with this book and I highly recommend it! I recommend it as a read-aloud and also as a personal read. This book is one of my all-time-favorite nonfiction reads! Age Recommendation: Fifth Grade and up. It is a great read-aloud for home or school, and is also a wonderful book for kids and adults alike to sit down and read. Parents may want to read it first just so they know if it is appropriate for their child. *This post was first published on 8/8/12, and was updated on 1/10/18. 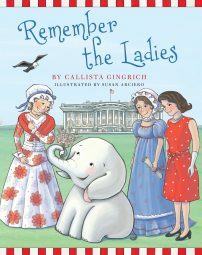 With beautiful illustrations and charming rhymes, Remember the Ladies will delight young and old alike with a look at the first ladies who helped make America an exceptional nation. This book is so cute! The illustrations are adorable, and I love that it’s teaching the children about the first ladies. I think the first ladies sometimes get overlooked, but many of them have done some great things, and have championed some very important causes. I actually learned a lot! I didn’t know about many of the middle first ladies. I know quite a bit about Martha Washington and Abigail Adams, and then I know quite a bit about the more current first ladies, but I learned a great deal about some of those first ladies in the middle. For example, did you know that Abigail Fillmore added a library to the White House? I’d love to see the library in the White House! And I didn’t know that Jackie Kennedy gave Americans the first televised tour of the White House, or that Lady Bird Johnson worked to clean up America’s highways. This book highlights many of the first ladies, and I love that the title is based on Abigail Adams telling her husband to “remember the ladies!” I think this book does a good job of covering first ladies from both parties. At the end there is a little snippet on each first lady. I was surprised to know that in a few cases the presidents’ wives didn’t want the role, so a daughter or someone else would fill the position. I enjoyed this book and do recommend it. 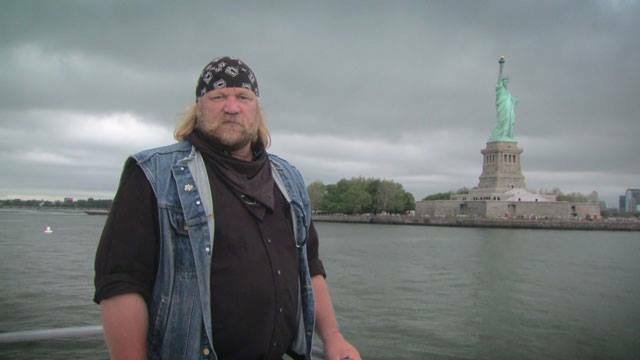 to teach Americans about our history and help them read the U.S. Constitution. This site is so great! I wish I had known about it sooner! In American politics right now, it seems like no one agrees on anything, and no one gets along. Many people have a “my way or the highway” attitude; consequently, there aren’t many people on opposite sides of the aisle that work together. Is compromise a word anyone understands any more? When our Founding Fathers wrote the Constitution, it wasn’t easy. There were differing opinions. There were strong emotions. There weren’t even any examples of what they were trying to accomplish. Years ago I read The 7 Habits of Highly Effective Families by Stephen R. Covey. In it, Mr. Covey talks about how there’s something even higher and better than compromise. When people really come together, it’s not just my way, your way, or compromise; there’s a fourth option. You take what person #1 wants and what person #2 wants, and you don’t make either one of them compromise, but you have them come hand in hand and find another option. You create something completely different that fits the needs of both equally. (He gave an example of a young married couple that didn’t have a lot of money. The husband wanted a new sofa, and the wife said that they couldn’t afford one. To make it work, they bought an old sofa at a thrift store and they learned how to reupholster it….they both got what they wanted). That is what is missing in politics today, and I find that disheartening because coming together like that is what brought about the Constitution of the United States of America. A couple of years ago I was trying to get my teaching license current after letting it expire. I took an American History class, and we talked about the making of the Constitution. I hadn’t read it since high school (oops!). So I took the time to read and study the Constitution. I was amazed at how much I thought I knew, but didn’t really know. 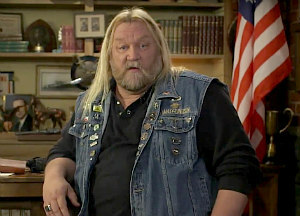 There were a few things I thought were included in the Constitution, but aren’t; and there were a few things in the Constitution that I didn’t know were there. I love this project by Freedom Factor.org because I think it is so important for us as citizens to get back to the basics. We need to read and study our Constitution. We need to talk to each other. We need to discuss our differences in a way that uplifts each other. I think we all really want the same things, we just have different ways of getting there. If we take the time to talk to each other without vilifying or destroying, I think we’ll see that we’re not enemies; in fact, we’re on the same team. Let’s come together, find common ground, and help each other. It all starts with education. The more we learn about how our government works and the more we learn about each other, the more we see each other’s individual worth, the better voters and leaders we become, and that results in a better run government. After all, to quote Abraham Lincoln, this is a “government of the people, by the people, for the people,” so the people better know their Constitution! Disclosure: I did receive a free Pocket Constitution from this organization for providing this spotlight. However, this does not sway my opinion. I think it’s a great organization, and I’m excited to delve more into their site and resources in the future. This is the third in the Everyday Life series that I have read. I’ve read Ancient Egypt and The Middle Ages, and this, surprisingly, has been my favorite! It’s crazy because I thought I’d like the Egypt one the best. 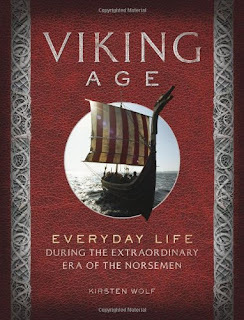 Learning about the Vikings has never particularly interested me, but this book did a great job of explaining everything and making it interesting. One of the reasons I didn’t love the other books as much as I thought I would was because the writing was very technical and difficult to read. It took me forever to read them! This book was actually written very well. 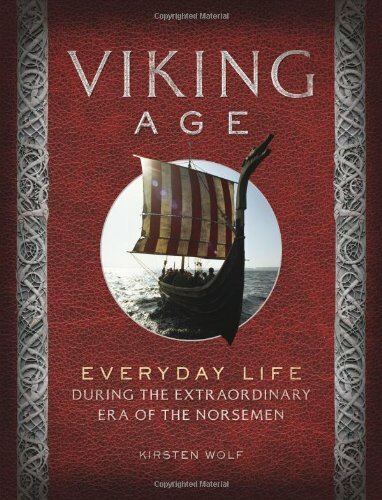 It brought the Vikings to life, and even though the writing was still a bit technical, it was understandable! I thought it flowed well, was fairly easy to read and understand, and it did a good job of explaining everything in a way that readers could enjoy. There are many pictures and illustrations, and I found it so fun to look at and study them. I liked learning about their coins, jewelry, homes, and their raids. I hate to say it, but “How To Train Your Dragon” is about as much as I did know about the Vikings before reading this book. Now though, I feel totally educated! Ms. Wolf did a great job with this book! George Washington as he is sworn in as our first president. Andrew Jackson as he welcomes thousands of Americans to the White House. Abraham Lincoln as he delivers the Gettysburg Address. Theodore Roosevelt as he builds our national park system. Lyndon Johnson as he signs the Civil Rights Act. What a great book! I love that it’s a darling picture book with colorful illustrations, and yet it’s packed with information! Children will think they’re reading about a cute little elephant, and yet they’re learning about American presidents and history. You know me, I hate it when authors push their agenda onto children through books and movies, and I was worried that this book might do that; it did not, thankfully! It is an unbiased look at several of America’s former presidents; Republican and Democratic alike. 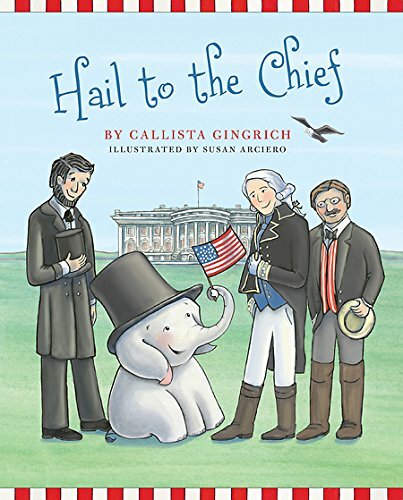 The only agenda in this book is to get children excited about American history by helping them learn about former presidents. I even learned a few things! It’s written in poem format, which is great because learning to rhyme is also an important skill for children to have. It’s not forced rhyming, either. It flows well and is easy to read and understand. My copy is hardback, which I love for its durability. The illustrations are very well done. They’re colorful, interesting, and full of great details. Not all the former presidents are highlighted in the book, but there is a little blurb on each of the presidents in the back of the book. (*Update 1/6/17: I had a reader contact me regarding the blurbs. She felt like the blurbs were biased, so I read through them. I think most of them are unbiased and informational. There are a few, especially with the more current presidents, that are slightly biased. I didn’t feel like they were extremely biased, but there was a hint. Still, I think the benefits of the book outweigh the negative. If you feel the blurbs are biased then you could take those pages out, since they are not a part of the actual story. The story itself is unbiased. *) I highly recommend this book for old and young alike! This book should be in every elementary school library in the United States! This book is packed full of information! 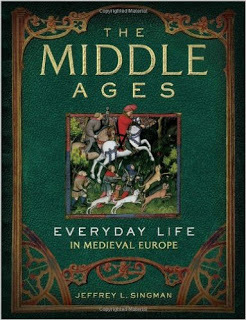 Everything you want to know about the middle ages, plus some you didn’t even know you wanted to know! It discusses aspects of everyday life for all classes of people plus the monks living in the monasteries. I didn’t know that there were a couple different kinds of monks and that monasteries were not all the same. I also didn’t know that people other than kings lived in castles. What? I know, right? Who knew? Many castles were occupied by feudal lords. Castles were one way that the lord would be able to protect himself and those living under him from raids and wars. Kings would use the different castles as they traveled around their lands. The knights would use the castle as a “home base” in which to defend themselves and the land. They could retreat there if needed. 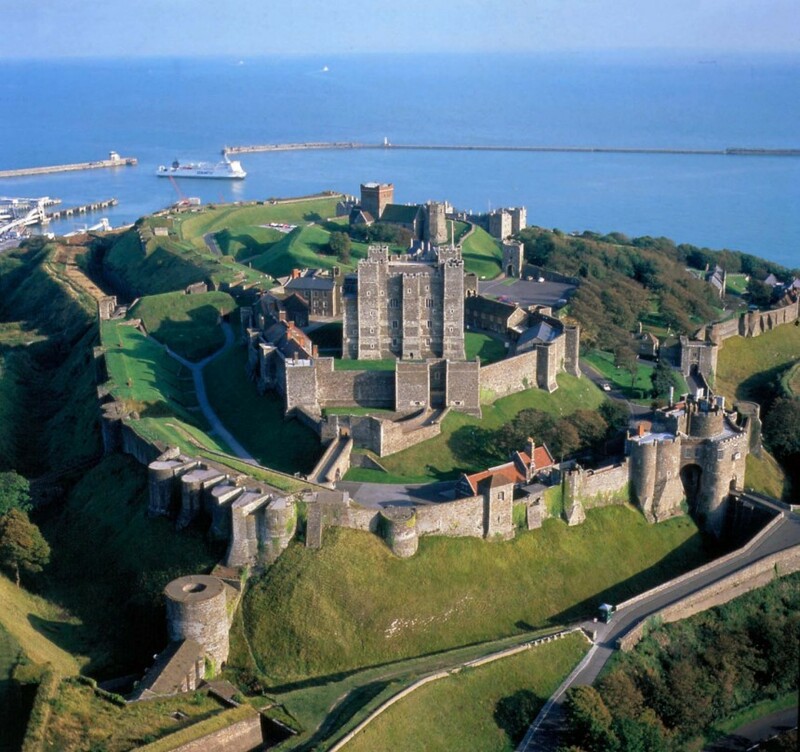 Castles also served as a “reminder of the lord’s authority.” The castle would also hold supplies “to arm his troops in case of war.” He used the example of Dover Castle, in England. Something else he discusses in depth is Cluny Abbey in France. If there is anything you want to know about it, this is your book! This book also goes in depth about clothing, money, soldiers, knights, leisure time, the women in the middle ages, the family, and many more. For instance, the average family had around “two or three living children.” However, the mother would give birth to five or more. There was a very high rate of child mortality. It wasn’t uncommon for extended families to live together. I learned some new words too: Partible inheritance was when all the male children in the family could inherit “part of the family’s wealth.” And if there were not any sons then the daughters would split it. Primogeniture inheritance was when the family’s wealth went to the eldest son. This book had some really good information in it. Seriously. 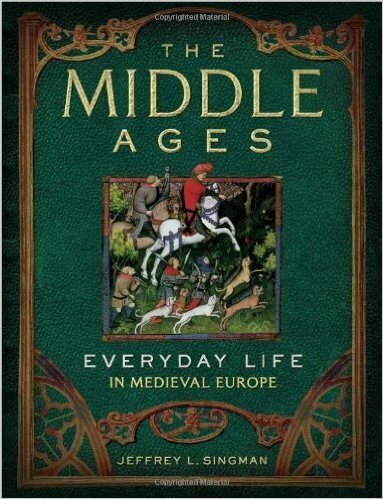 If you want to learn about the middle ages then this is your book! I did find it a little dry and slow in many parts. It is packed with information, and it reads like it does. It reads like a text book, which is good, but not always that engaging or captivating. I learned a lot, and I’m glad I read it. Recommendation: 12-13 years-old and up. Younger children won’t be interested in this book anyway, and they won’t be able to understand it. Recommendation: 14 years-old and up. Every student (and U.S. citizen) should read this book! *This review was first published on 7/1/10. By now you should all know how much I love American History. That is one of the reasons I slacked off my blogging at the beginning of the year. I took an American History college course so that I would have enough credit to renew my teaching license (yay!!). I have read 1776 a bunch of times, and I love it every time. Needless to say, I was really excited to read this book! It took me awhile to read it (hence my lack of blogging lately……), but it did not disappoint! 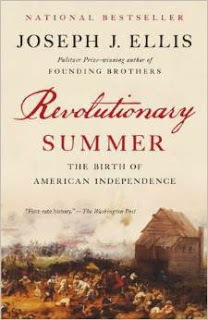 It isn’t quite as easy to read as 1776 is, but it is still so well written. I loved how Mr. Ellis delved into the British side of it as well as the American side. It was interesting to learn the intentions and different strategies of the Howe brothers. I know I have heard about them before, but I really enjoyed getting into their heads a little more. I have to say, I am so glad that they made the atypical blunders and missteps that they did; it made our cause possible against such a formidable foe. This book went quite a bit into the politics of the day and how the political feeling of the day actually hindered our win. The people felt that a national army went against everything they were fighting for; therefore, the Continental Congress, even though they wanted a national army, was never able to actually provide General Washington with that luxury. Washington had to win the war with a piecemeal of state militias. The terms were about one year, and the personnel were constantly changing. Crazy! There were many things (I would say miracles, others may have another word for it…..) that had to come together in just the right way for us to win. Thankfully, it worked in our favor. This book is well written, very informative, and packed full of information. I learned a lot, and enjoyed reading it. If you are an American History fan like I am, then you definitely need to read this book, and if you aren’t, then you should still read it! Recommendation: 14-15 years-old, depending on the YA’s maturity level. This book would be great for a history class. Every American should read this book so we remember where we came from and the lives that were lost to give us the freedoms we enjoy today. *This review was first published on May 20, 2015.